Akshay Kumar's latest released film Jolly LLB 2 is a super hit and this film is a sequel to the 2013 hit film Jolly LLB. Jolly LLB 2 was released on 10 February this year and till today (14 February 2017), box office collection of the film is nearly Rs. 60 crores. 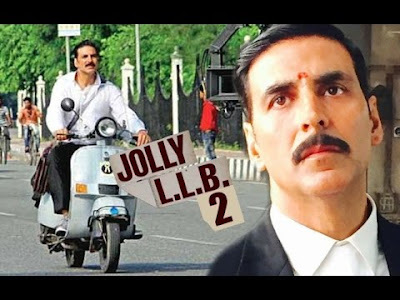 Film Jolly LLB 2 casts Akshay Kumar, Huma Qureshi, Annu Kapoor, Saurabh Shukla and many others.